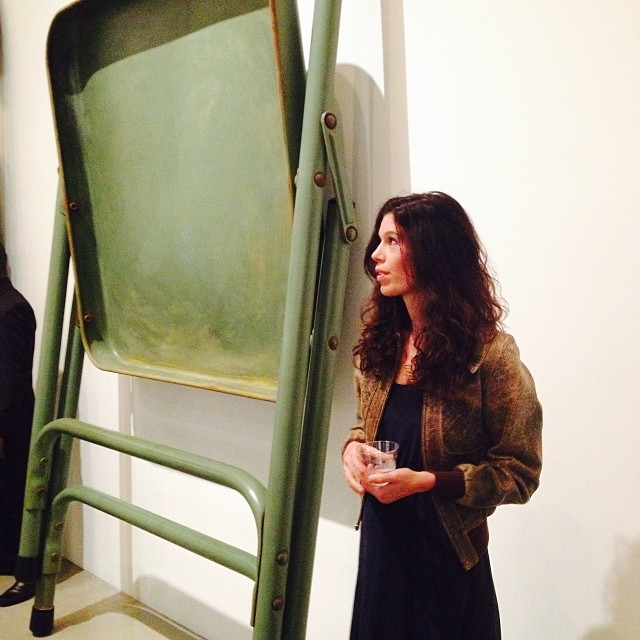 Last night, at Gagosian in Beverly Hills, all I wanted to do was hide under the giant table flanked by giant folding chairs twice my size and find the right angle from which to view the other sculpture- another goodie from Robert Therrien- without the noise of the room interferring with the piece. As my parter-in-crime Alexis Hyde said, ” There needs to be a conversation between the pieces of art.” Without an interaction, dynamics cease to exist. Inside art, viewing other art, crawling into my own art mind, this week’s Instagram is all about what makes art unfold in my eyes. 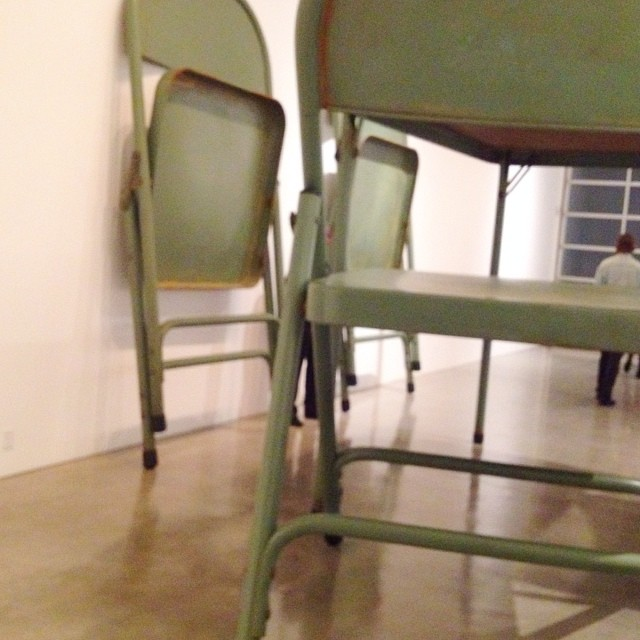 Like these chairs unfold. So utilitarian, yet wildly elevated from reality. 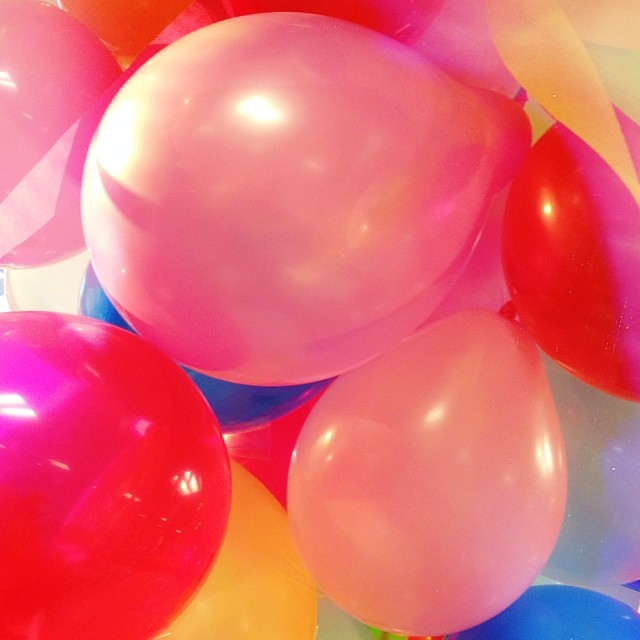 Did you know that the US is running out of helium? It makes it very hard to find hjelium balloons, so when I see them glorious and flooded with light, they feel like a unicorn sighting, a must-capture moment. 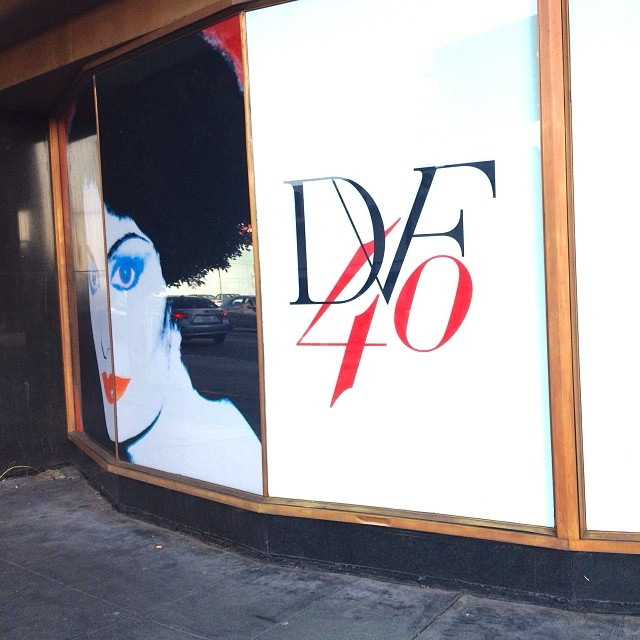 CAN NOT WAIT to go to the Diane Von Furstenberg exhibition beside LACMA! Not only is she my style icon of all time, I actually had a very crazy conversation with her the day before the tragedy of 9/11 near Pastis in New York. I was trying to get into her shop but it was closed for Fashion Week. She asked if I would come back and I said I was leaving town but I really only collected her vintage dresses because they felt more special. (I must have had too much to drink at brunch, to say such a thing.) She told me she was buying up her vintage as well. And I didn’t shop. And the world changed the next day . And years later, there’s a retrospective, filled with my favorite dresses. 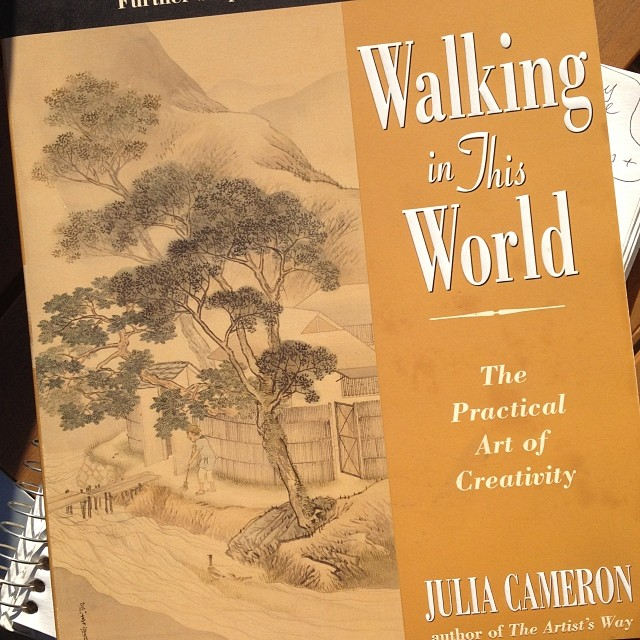 I’m about to leap into Julia Cameron’s book of advanced Artist’s Way…. Because I need to live inside it all to share it all with you! Maybe this will spurn an advanced Artist’s Way online group…Walking In This World?! 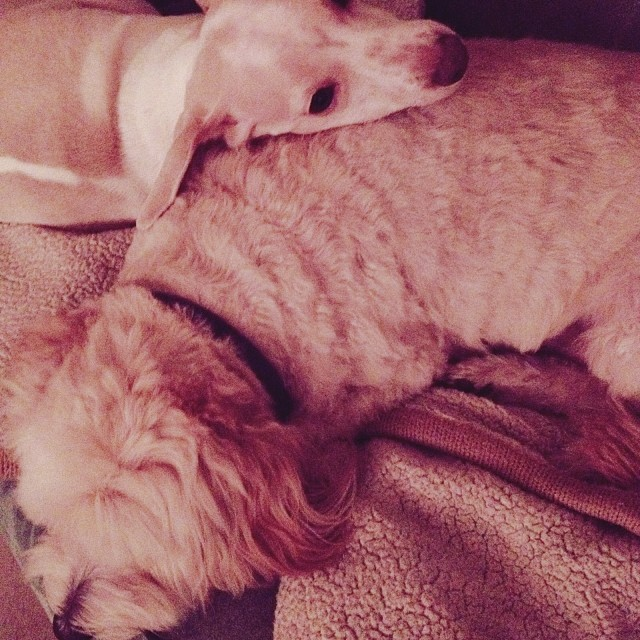 Rare moments of total love: the insides of art turned outward. Amazingly beautiful. Turn Your Instagram Into An Art Project! I need to tell you this. It is so amazing. Firstly you were the one who “introduced” me to Artist’s way (an AMAZING book) so I bought it and start following daily practises. I’m now in 9 week and it helps me every day. So THANK you for being so generous and taking care of us all! Previous post: Why You Have To Stay Challenged & Creative In Your Life! Next post: Put One Foot In Front Of The Other, No Matter What!